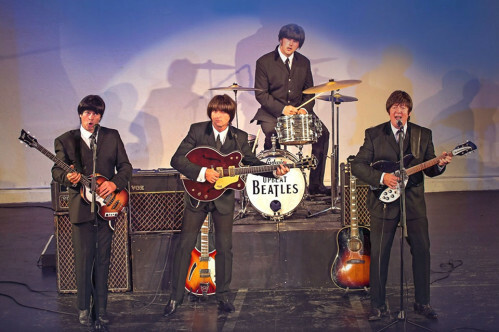 Our newly produced theatre show brings you the very best of John, Paul, George and Ringo. 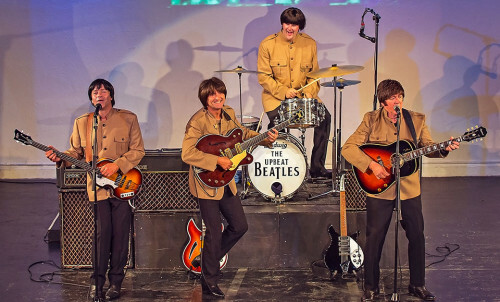 The Upbeat Beatles take you on a journey through the most remarkable story in the history of rock and pop music. 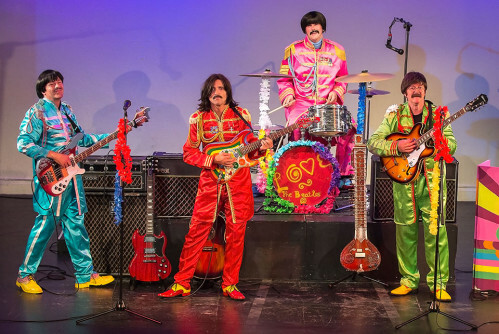 Using projection and narrative, teamed with the pinpoint accurate music and vocals of the band, this show takes you on a “Magical History Tour”, travelling through the ages of The Beatles’ relatively short yet amazing career. 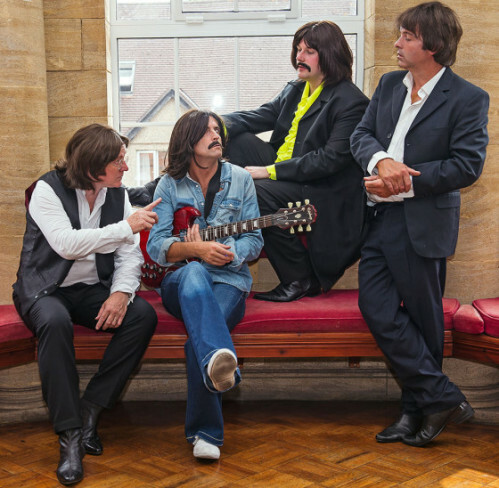 The Upbeat Beatles recreate the sheer fun, excitement and magnetic power of The Fab Four and the unforgettable music they created, with their attention to detail and stunningly precise reproduction. Covering the beginnings at The Cavern Club in Liverpool. The frenetic, early TV appearances. Conquering America at Shea Stadium. Frenzied “Beatlemania” in the early 60s. 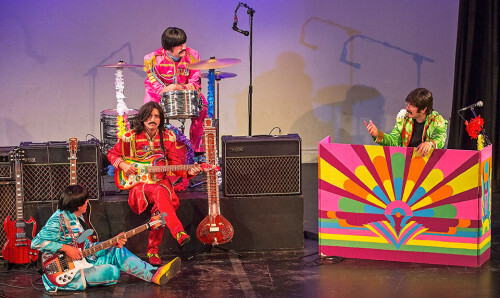 The colourful, psychedelic, Flower Power era of Sgt Pepper’s and The Magical Mystery Tour. The landmark final performance in 1969 atop the Apple Building in London. Find your nearest gig in the list opposite. We’re busy getting a full tour booked up for later this year. SIGN UP now to get updates on all new Gig Dates. CLICK to get a taste of what you’re missing – watch a video medley of songs from a recent show.